hey brother what are the dimensions, and could i get some more pictures? what all are you selling with it specifically? How much for some live rock? Are you selling that separately? What kind of sump are you running, size and pictures? BUMP... want this gone. Open to trades as well. 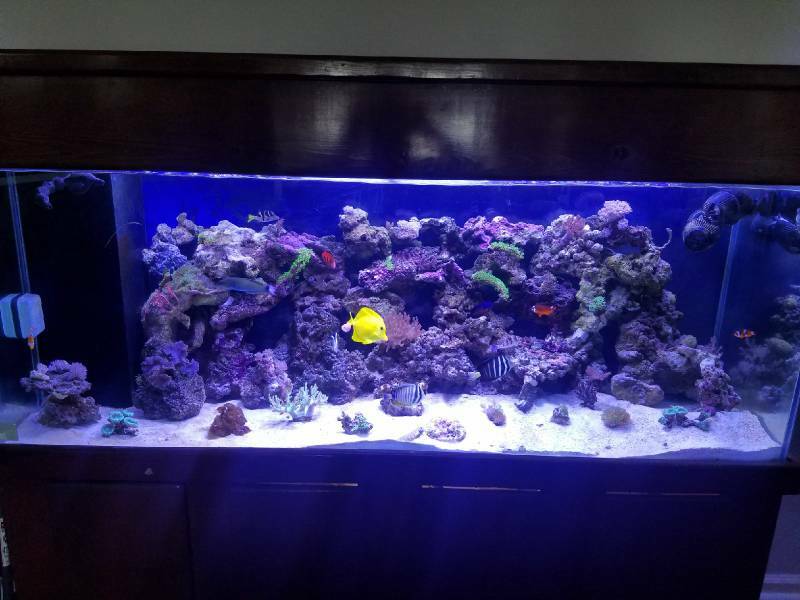 I’m in the market for a 100 gallon glass tank depending on the price and condition.